The preset location address: Krakow Airport - Balice 1, Krakow, 32-083, Poland, area 'Krakow - Airport'. -by using the Krakow interactive map on the left. Aiport offers. In case you need an exotic car in Krakow (cabriolet, sports car, limousine, etc. ), or plan to pick up a car in the night hours, you should look at the rental locations in the airports around Krakow and not in the city itself. Suppliers at 'Krakow - Airport' have a wide car choice and can release your car at night. Insurance. In most of our offers for Poland, the rental rates already include the 'Collision Damage Waiver' (CDW) insurance that give you a financial protection in case of an accident. If an accident occurs, you would need to pay at the counter in 'Krakow - Airport' only the franchise (your own risk) amount. Car pick-up. In 'Krakow - Airport', rental companies may release your car in locations outside the airport. In this case, they organize a 'shuttle bus' that departs periodically from the airport building entrance. Car return. 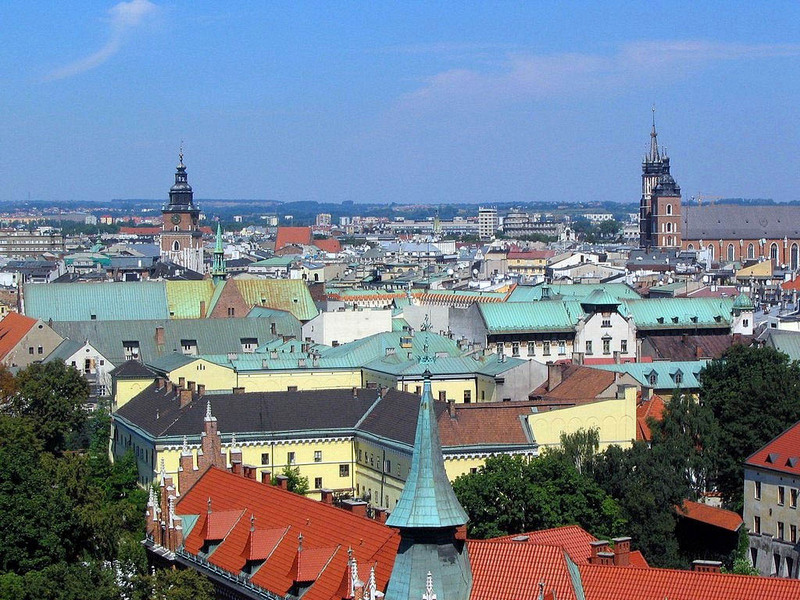 On the final day of your rental in Krakow, examine your voucher for fuel terms. Try to bring back the car back to 'Krakow - Airport' in time – avoid additional expenses. After rental. Periodically monitor the return of your deposit. As a rule, rental offices in Poland release the deposit on the day of car return, however the bank transfer may take 1-3 weeks. Rental system 'OrangeSmile.com-CarTrawler' offers a unique opportunity to hire a vehicle of your choice in Krakow for any desired rental period at lowest rates. All our featured car options in Poland come as an 'All Inclusive' package, and there are no service charges or fees associated. All the rental phases, documents and the customer support are provided in English. It is easy to distinguish Hotel Wentzl from other accommodations. This hotel is well-known to gourmet travelers from all over the world. The same named restaurant, which is open in the same building with the hotel, greeted its first guests yet in the 18th century. Nowadays, the popular restaurant is a great place to try the most delicious European cuisine dishes that are cooked in accordance with old recipes that haven’t been changed for more than 200 years. Despite the luxurious restaurant, the hotel can be proud of its rich collection of art – both guestrooms and public areas exhibit paintings by outstanding Polish artists. The unique Ekosamotnia is a rare place where guests can live in the middle of large fruit plantations. The hotel is located not far from Wolski Forest. The hotel, which is open in a beautiful mansion that dates back to the 19th century, also has an old private garden. There is a true historical landmark in the territory of the hotel – a beautiful summer house that was built more than a hundred years ago. Guests of the hotel are welcome to walk in the garden and admire the look of small ponds and bridges. There is even a small grotto in one of the hidden parts of the garden. The surrounding fruit plantations also belong to the hotel and are used to build exclusively organic fruit, the quality of which is awarded various certificates.